With a full-time staff, Topcoin is ready for new life. A new team is taking a stab at Topcoin, the cryptocurrency-based customer loyalty program for digital goods. While some of these people have been involved for a while, the company officially announced that Josh Metnick, Michael Blend, Ammar Kubba and John Detjen are part of the team working on relaunching Topcoin. Detjen is the CEO. Uniregistry announced last month that it was dropping support for Topcoin. 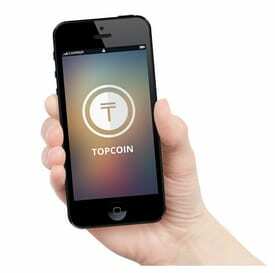 It was the biggest company issuing and redeeming Topcoin, so it was a big blow to the business. Now Topcoin is doubling down. The company will launch a wallet app at NamesCon. It will also have five people on site to reach out to merchant partners. In theory, Topcoin’s 21,000+ wallet holders could be a boon to companies that accept Topcoin. But they’ll need to offer meaningful redemption of the cryptocurrency. Uniregistry never allowed me to redeem any of my TopCoin. And now they have significantly increased their pricing. Bye-bye Uniregistry. Where can I redeem all of my TopCoin? Where are you going to sell your domains? I sold $79,000 worth in 2018 at Uniregistry. Jeff Gabriel said a while back on DNW that sales projections for last year were anticipated to be higher by up to 50 percent. From day one, I opted out of “TopCoin”. Also, my pricing has not increased. Frank Schilling has announced on Twitter that “…we are launching the greatest piece of sales infrastructure ever launched to sell a domain name” (with a schedule date around August). I’m highly optimistic that sales will accelerate even more and I’m transferring more domains in. By launch date, I will have over 2,000 names there. Hello Uni! Their latest “greatest piece” was some kind of lame mobile app. I would rather be pessimistic about any platform where founder loses touch with reality and keeps making insane statements. If it’s true you can build a site like this with your own photos and logo in a few minutes, it is extremely good. What I don’t think anyone outside the Uniplex has realised is that with just a little bit of extra work, Uni could add an optional banner saying “THIS DOMAIN IS FOR SALE FOR $2,000” and a Buy Now button. Then, with just a few minutes work per domain, you could present a mini website instead of just a boring standard lander. That should increase sales velocity since you are selling a “site” as well. If Uniregistry offered a bulk discount price, it might be well worth it for your most premium names. Instant websites have great potential in unlocking the true value of domains which are massively undervalued. 1) How many distributed network nodes are updating matching instances of the Topcoin blockchain? 2)How many Topcoin tokens are in circulation? 3)What is USD price of One Topcoin? If the answers are unknown, Topcoin cannot be considered cryptocurrency, but rather a static form of bonus rewards similar to grocery store gas points. These guys finally wokeup now, when crypto has taken a beating, they had the chance to make a billion back in 2017, they totally blew it. So many damn coins out there, nobody even cares outside top 10. Make sure you’re not getting this “Topcoin” confused with the actual cryptocurrency Topcoin. What happened to George Minardos?